2 What is an infant car seat? Fam! You’ll never understand the consequence of randomly picking a car seat until you end up nursing your baby’s neck or replacing your vehicle’s seat. Anyway, you are probably here because you want something classic, safe and comfortable for your baby. If you care, forget about all other models flooding the market. 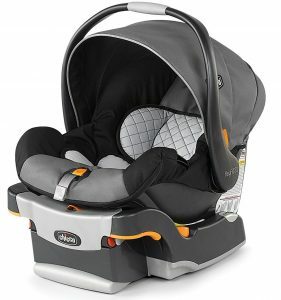 Chicco Keyfit 30 Infant car seat is the number one choice. 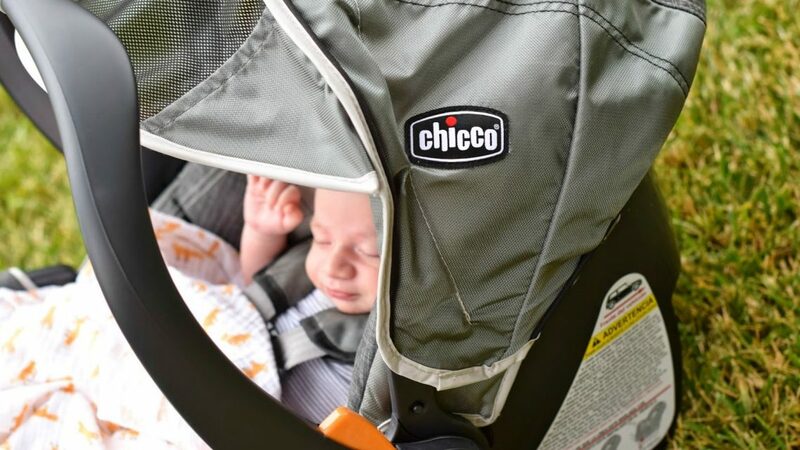 Here are best infant car seats from Chicco. 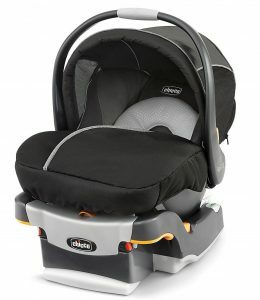 If you are after an elegant car seat, which is more than comfortable to your baby, here’s a good deal from Chicco. It is not only safe for your newborn but also a relief to you. With Super Cinch Latch, Ride Right Bubble levels and Recline levelling foot, installing this car seat is literally a piece of cake. The Ride Right Bubble would always indicate whether you have installed the seat correctly whereas the latch and cinch tighteners ensure a secure fit. Unlike most competing models which may compromise with the safety of a newborn, Chicco’s Infant car seat accommodates babies as light as 4lbs. To make this possible, the carrier has ergonomic headrests and body supports. As the infant grows, you can remove the cushions. Besides, the 5-point harness allows further adjustments to the straps depending on the height of your baby. 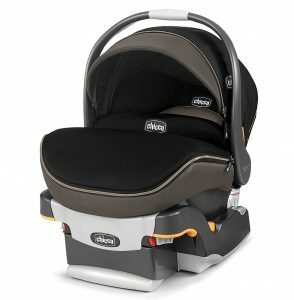 Chicco Keyfit Infant car seat boasts of additional features like an energy-absorbing foam, an adjustable canopy and a stay-in-car base. The base in itself has an underside enclosure, so you don’t have to worry about possible damages to your vehicle seats. Moreover, it features a belt route, which makes it easy for you to integrate with the vehicle seatbelt. Despite having a canopy, this little seat may not effectively cover your baby. Therefore, you might consider a car window shade or other relevant solution. Keyfit 30 Magic is what you need for your premature baby when travelling, whether by car or air. It is very secure and ideal for infants between 4 to 30 pounds. This car seat is quite easy to install. You can actually describe the installation process as simple, secure and accurate. The ReclineSure levelling system, together with the Ride Right level-indicators affirms the installation accuracy while the SuperCinch latch ensures a secure and tight fit. In as much as the base of Keyfit 30 Magic is a stay-in-car, it will never damage your vehicle seats. The designers came up with a smooth underside as a preventive measure as a way of protecting your car. Also, the base has a built-in belt route and a lock-off system, which accommodates vehicles. With a 5-point harness and a one-pull tightener, this car seat will fit snugly. Depending on the infant’s height, you can adjust the harness positions up to 30″ high. Chicco’s Magic seat is a little heavier considering that you might need to carry it from home to the car or back. However, you can purchase a Chicco stroller to avoid all the struggles. If you have been thinking about the right gift to present to a friend on her baby shower or a sip-and-see party, here’s an idea. Whether it’s a friend, family or yourself, Chicco’s Keyfit Zio car seat should be part of your baby within the first few months. Installing this car seat is quite a breeze. The levelling foot ensures a proper angle while the level indicators will confirm is the installation angle is accurate. For a secure fit, the SuperCinch latch tightener will do. Once the seat attaches to the base, you’ll hear an audible click as a confirmation. Keyfit 30 Zip features a 5-point harness, which you can effortlessly adjust with one hand. For premature infants, you might need the included headrest and body support cushions for additional comfort. As the baby grows, you can as well remove them. To enhance mobility, Keyfit Zip includes an ergonomic carrying handle and separate Chicco strollers. Unlike its competitors, this car seat is moderately heavy, but the good news is that the carrying handle is very sturdy. You might have just thought silently why you should go for an infant car seat when you can just buy a convertible and forget everything. Well, the infant car seat is specially designed for newborns and premature babies who in most cases weight between 4-30lbs. Other types like convertibles or booster seats are fit for grown babies. Infant car seats are very comfortable and safe for younglings. At least, they include a headrest and body cushions, which these other models may lack. A perfect infant car seat should make the baby safe and at ease. Moreover, you should also be at peace with the services it offers. If it damages your vehicle seats, takes up much space or irritates your baby, then probably it’s some little monster. You’ve got to get rid off it and find something better. What’s more exciting about Chicco Keyfit car seats is that you’ll enjoy all these goodies without breaking your bank. The seats comes at an amazingly affordable price. What’s more would you ask for? Get up and get yourself a piece today!